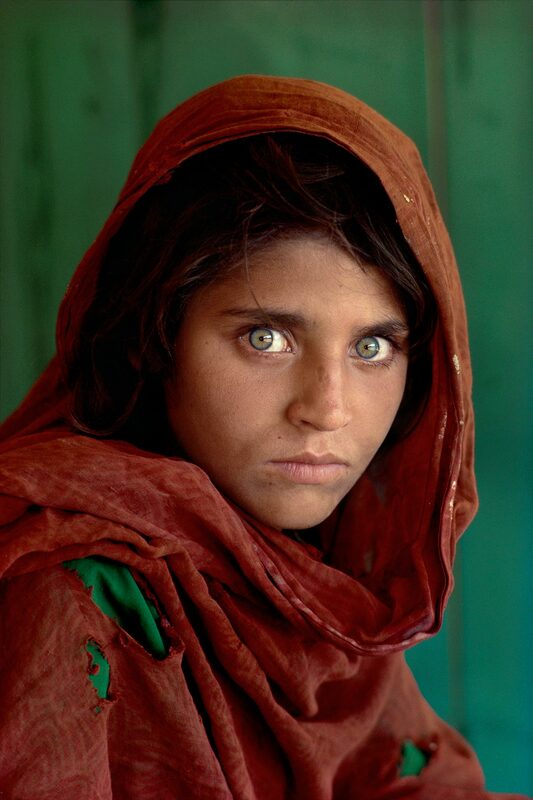 The additive screen color photography techniques, as theorized by Maxwell, and as realized in the practical sense through the Dufaycolor and Autochrome processes discussed in the previous installment of this series, failed to gain broad and lasting acceptance due to some fundamental shortcomings. Additive techniques required color filters to be somehow maintained in register both for the initial image exposure and then to view the final product. These filters introduced image-degrading artifacts in the forms of lines, crosshatches, or grain patterns. The filters also screened out a significant percentage of the light hitting the film emulsion, effectively lowering their sensitivity and use in lower light situations. 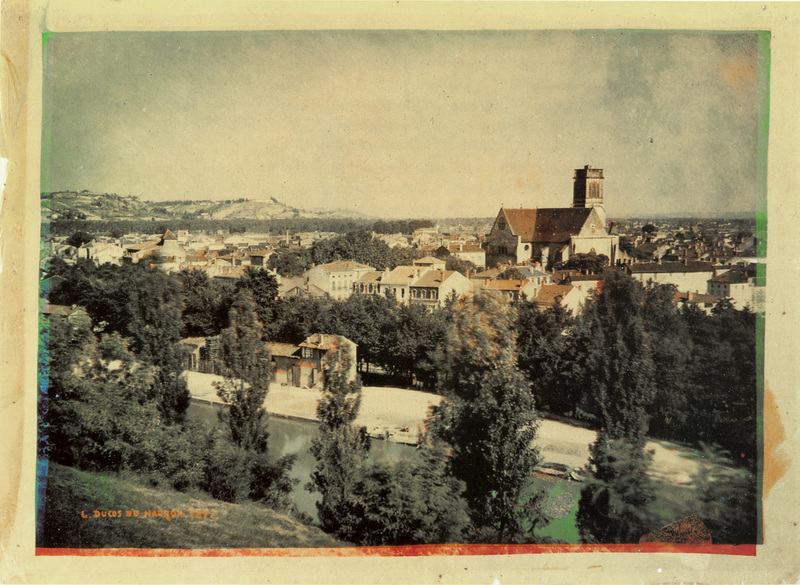 Beginning in 1869 with the published papers accompanying his patents on the subject, Louis Arthur Ducos du Hauron set forth basic concepts of using subtractive color theory in color photography. The subtractive process removes certain colors from white light while allowing other colors. The three subtractive primary colors (cyan, magenta, yellow) are the complementary colors of the three additive primary colors (red, green, blue), and in combined use as filters can generate almost any color. While numerous subtractive methods for photography were tried in the following 50 years, they all suffered from technical complexities. Cameras had to provide 3 perfectly registered negatives for every shot, one for each primary filter color, using multiple exposures, multiple lenses, mirrors, or beam splitters. The filter and color dye technologies were also not mature enough to always render faithfully the original colors. While there is evidence of some degree of success in du Hauron’s heliographs, Frederick E. Ives’ Kromskop Triple Camera and Viewer, and Sanger Shepherd’s one-shot camera, these efforts were expensive, complex, and time demanding. The real breakthrough came in 1911-1912 with the patented work of Dr. Rudolf Fischer and Dr. Hans Sigrist of the Neue Photographische Gesellschaft (New Photographic Corporation, NPG). Their patents describe the basic ideas behind modern color film, the concept of the formation of dyes during film development, and introduced technical methodologies, such as multilayer color film as it exists today. 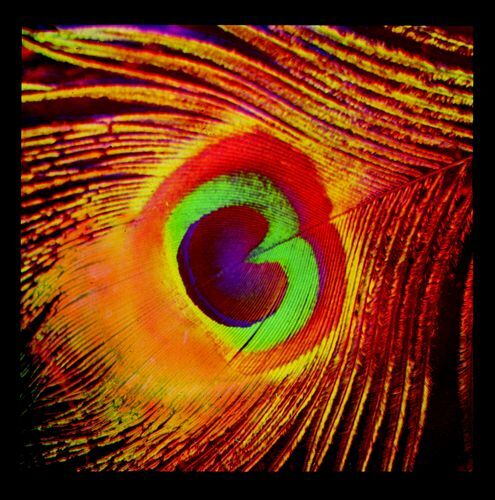 The basic concept, as seen in all subsequent color films, is the use of multiple film emulsion layers, each sensitive to one of the three primary colors, and separated by colored filter layers. This allows, during development, for three silver-based negative layers to be generated for each exposure in perfect register, each negative layer carrying the correct exposure for one of the three primary colors. Color couplers are added (in the development chemicals in the case of Kodachrome, or, as in other color films, included in the film emulsion,). These color couplers combine with oxidation products during development to create insoluble dyes that impart a cyan, magenta, or yellow tone to the corresponding negative layer. The silver in the emulsions is then removed through a bleaching and fixing process, leaving the three dyed layers in register to produce the final image. At this point in 1912, the major obstacle facing NPG in producing a viable color film was the problem of the dyes diffusing between layers, creating color inaccuracies. From 1912 until the mid-1930s, two competing efforts attempted to solve this dye migration problem. In the U.S., two professional musicians, Leopold Godowsky and Leopold Mannes, who happened to be enthusiastic amateur photographers with science educations, began working on the chromogenic color photography theories put forth by Fischer. After some progress with their own research lab and independent funding, they were hired by Kodak to head a large research effort to finish and refine their work. The two, who came to be known as “God and Man” solved the dye migration problem by the controlled diffusion bleach process, a development process entailing 27 complicated steps, which they patented in early 1935 under the Kodachrome trademark. The key characteristic of Kodachrome versus other chromogenic films was that the color processing during development was done layer by layer. Each color layer employed a unique developer solution that incorporated the appropriate color dye for that layer; each layer was then washed, bleached, and fixed in turn before the next color layer was addressed. After all three layers had been developed and bleached, all the silver had been removed from the emulsions, leaving the dyed layers to create a color slide. While subsequent evolution saw the Kodachrome developing process (or K-14 process) simplify into just 16 steps, the color couplers for the dye remained in the developer solutions versus the film itself. 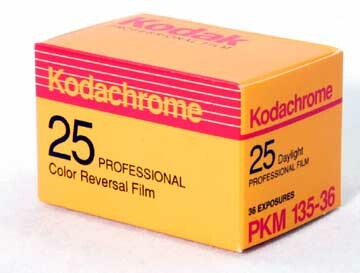 This complicated development process was out of reach of both amateur and professional photographers; only Kodak initially had the required equipment and expertise to process Kodachrome, although an anti-trust case in 1954 compelled Kodak to offer the processing chemicals to independent processing labs. Kodachrome was offered in ISO speed ratings ranging from 8-200, and was considered by many the sharpest, highest resolution, and best archival color film from its introduction in 1935 until Kodak ceased production in 2009. The availability of newer color films that offered easier processing and competitive image quality (such as Fuji Velvia in 1990), the increased emphasis on digital imaging, and Kodak’s financial woes sealed the fate of Kodachrome. 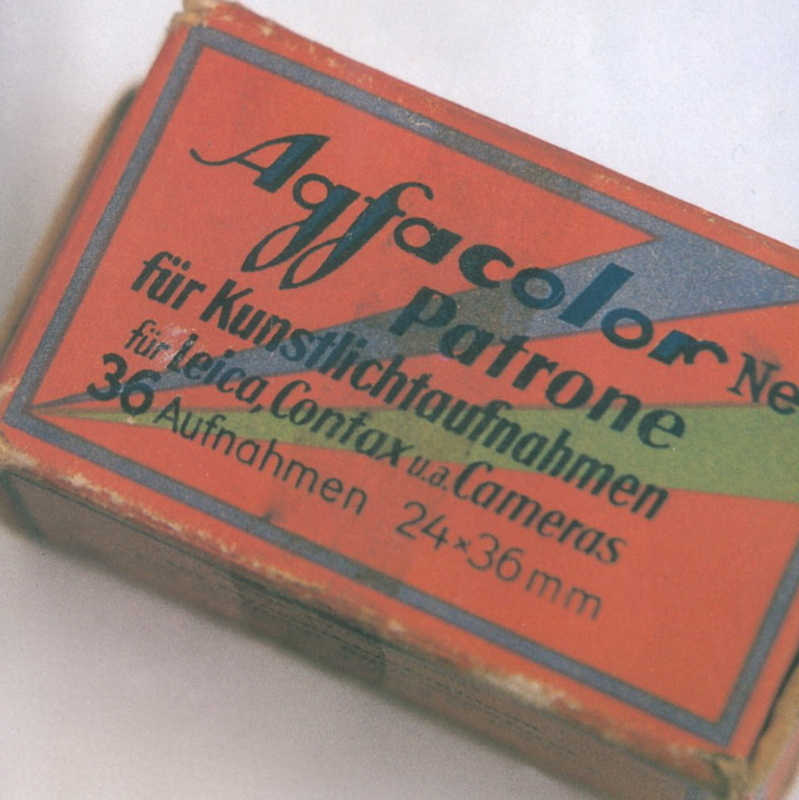 In parallel with Kodachrome, in 1932 two German chemists working for Agfa, Gustav Wilmanns and Wilhelm Schneider, while working on anti-halation backings for monochrome films, discovered that dyes carrying chemical groups known from cotton dyeing remained intact in film gelatin layers and would not migrate between layers. They filed a patent (within days of the patent filing for Kodachrome) for a process employing this that led to the creation of Agfacolor Neu film, which saw some use by photographers at the 1936 Olympic Games in Berlin. 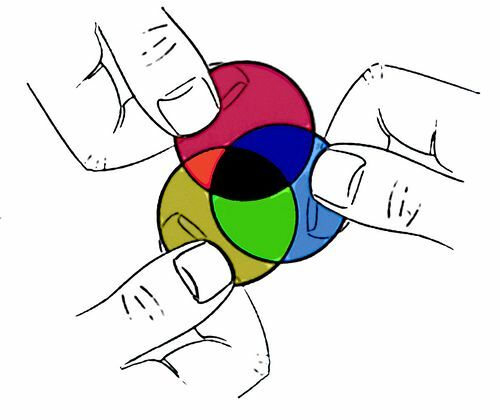 Because the Agfacolor process had the color couplers contained in the film emulsion layers, just one color developer solution was used to process all three color layers at one time. This yielded a much simpler process than Kodachrome, with only 5 steps to create a slide image. Agfacolor methods and recipes were declared public domain at the end of World War II in 1945, and many companies such as Adox, Ferrania, Fuji, etc., adopted the procedures. Kodak never employed the Agfacolor process; in 1937 they had developed an aerial reconnaissance film, Kodacolor Aero Reversal film, when the U.S. military specified an in-the-field processing capability that Kodachrome could not support. This process led to Kodacolor negative films in 1942 and Ektachrome reversal films in 1946. Kodak’s solution to embed the color couplers in the film emulsion was simpler than that used in Agfacolor; Agfacolor initially demonstrated better image quality than Kodacolor/Ektachrome, but over time Kodak improved the emulsions and processes (C-41 for negative and E-6 for slide) to yield equal image quality with greater chemical simplicity and lower cost. As a result, the Kodak process was adopted by other color film manufacturers, and Agfa itself gradually shifted to the Kodak process in 1978. This is the eighth installment of an ongoing series on the history and development of the art of photography. It is inspired by the History of Photography class taught by Professor Jeff Curto in the College of DuPage Photography Program. While not a slavish copy of his work, I freely admit to following his general course outline and sharing many of the perspectives he has developed. I would encourage anyone with a greater interest in this subject to follow his course online via video podcasts, at http://photohistory.jeffcurto.com. Hunting for the best classic cameras in Japan, all for you. Home of Tokyo based nature and wildlife photographer, Capture One Ambassador and X-Rite Colorrati member Martin Bailey. A pioneering podcaster and blogger we share weekly photography inspiration, details of international tours & workshops, and other products and services.